alaTest har samlet og analysert 45 anmeldelser av Huawei Mate 10. Gjennomsnittlig rangering for dette produktet er 4.4/5, sammenlignet mot en gjennomsnittlig rangering på 4.3/5 for andre Mobiltelefoner. Vi analyserte bruker- og ekspert rangeringer, produktalder og flere faktorer. Sammenligned med andre Mobiltelefoner blir Huawei Mate 10 tildelt en total alaScore™ på 92/100 = Utmerket kvalitet. Huawei Mate 10 review, price, release date, specs and price. It's not coming to the UK, but how good does the Huawei Mate 10 look? From a superb camera to cutting-edge AI smarts, the Huawei Mate 10 Pro stylishly gets almost everything right. 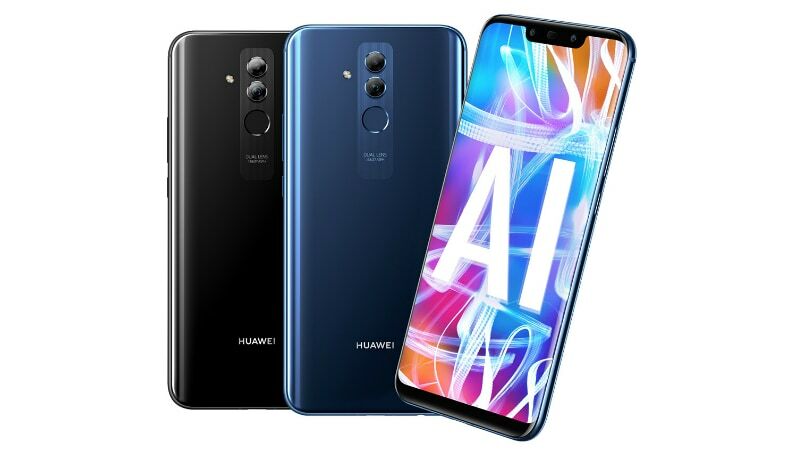 Huawei gets the design, camera, screen, and battery exactly right on the Mate 10 Pro, while the NPU and AI smarts show promise for the future. It’s an exceptional all-round smartphone package we highly recommend. They're elegant and beautiful, but Huawei's Mate 10 phones feel compromised by odd design choices. Huawei's Mate 10 is fast, has great cameras and a beautiful big screen. It's also a good deal cheaper than an iPhone 8 Plus or Samsung Galaxy Note 8. Huawei’s Mate 10 gives you performance and cameras comparable to Samsung’s Galaxy Note 8 and Google’s Pixel XL 2, but for several hundred bucks less. It also has a headphone jack. The phone’s battery doesn’t last as long as the Mate 10 Pro despite being the same size. Huawei’s Android software could be smoother and the phone isn’t getting an official release in the US or UK. The Huawei Mate 10 may be hard for you to get your hands on, but it’s worth the effort if you want a big-screen phone and don’t quite have the budget for a Galaxy Note, iPhone Plus or Pixel 2. The Huawei Mate 10 is a big phone with an excellent camera, striking design and plenty of power under the hood. Given its size, it won’t be for everyone, but with very few shortcomings it’s a definite contender for best value for money big phone of 2017. One of the last ones of its kind. With their XXL-sized smartphone Mate 10, the Chinese manufacturer Huawei bucks the current trend towards displays with a 2:1-aspect ratio. How does the high-end phablet fare and is an import worth it? All this doesn't come cheap. Huawei is selling its Mate X for a whopping €2,299, with a release date in the "middle of 2019". Since Huawei's annoucement, Alactel owner TCL Communications has shown off its own foldable prototypes at MWC.